Furniture goes separetely from the dollhouse. Wooden furniture 100% handmade. Made of natural wood pine. Good for dolls sized 10-15cm/5-6 inches. Suitable for silvanian type toys, Barbie, Amigurumi, etc. 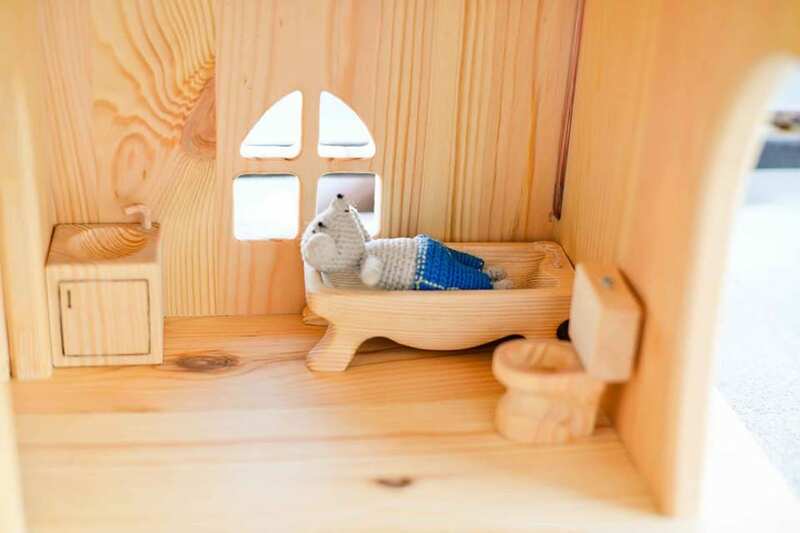 Bathtub: high - 4.5cm/1.8 inches, length - 12.5cm/5 inches, depth - 4.5cm/1.8 inches. Sink: high - 4.5cm/1.8 inches, length - 4.5cm/1.8 inches, depth - 4.5cm/1.8 inches. Toilet: high - 7cm/2.7 inches, depth - 4cm/1.6 inches. As you know, wax is safe product for children so they won't get poison or allergetic. Exactly what I wanted! Nice quality and sturdy magnets. Shipping took a while so I am glad I ordered early. It was a birthday gift and just barely made it by the day, but it worked out! Wooden lego 25cm. Magnetic lego figure. wooden toy. wooden toys. gift. Montessori waldorf toys.